Health officials say they're worried that one day there will be no more antibiotics left to treat gonorrhea. There's some disturbing news out today about a disease we don't hear about much these days: gonorrhea. Federal health officials announced that the sexually transmitted infection is getting dangerously close to being untreatable. As a result, the federal Centers for Disease Control and Prevention issued new guidelines for how doctors should treat gonorrhea. 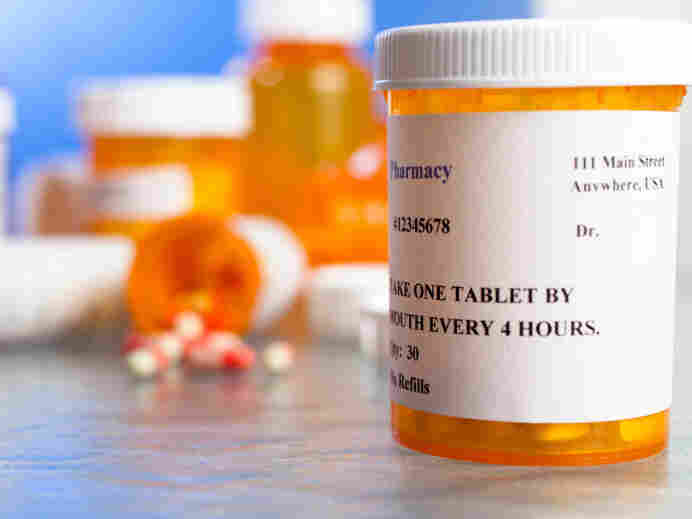 The guidelines are designed to keep one of the remaining effective antibiotics useful for as long as possible by restricting the use of the other drug that works against the disease. "We are sounding the alarm," said Gail Bolan, who heads the CDC's division of STD prevention. Gonorrhea has been plaguing humanity for centuries. But ever since penicillin came along a dose of antibiotics would usually take care of the disease. "Gonorrhea used to be susceptible to penicillin, ampicillin, tetracycline and doxycycline — very commonly used drugs," said Jonathan Zenilman, who studies infectious diseases at Johns Hopkins. But one by one, each of those antibiotics — and almost every new one that has come along since — eventually stopped working. One reason is that the bacterium that causes gonorrhea can mutate quickly to defend itself, Zenilman said. "If this was a person, this person would be incredibly creative," he said. "The bug has an incredible ability to adapt and just develop new mechanisms of resisting the impact of these drugs." Another reason is that antibiotics are used way too frequently, giving gonorrhea and many other nasty germs too many chances to learn how to survive. "A lot of this is occurring not because of treatment for gonorrhea but overuse for other infections, such as urinary tract infections, upper respiratory tract infections and so forth," Zenilman said. It got to the point recently where doctors had only two antibiotics left that still worked well against gonorrhea — cefixime and ceftriaxone. But on Thursday, federal health officials announced that one of their worst fears had come true: Evidence had emerged that gonorrhea had started to become resistant to cefixime in the United States. "We're basically down to one drug, you know, as the most effective treatment for gonorrhea," Bolan said. Cefixime and ceftriaxone are in the same class of antibiotics. That means it's only a matter of time before ceftriaxon goes, too, she says. "The big worry is that we potentially could have untreatable gonorrhea in the United States," Bolan said. That's already happened in other countries. Totally untreatable gonorrhea is popping up in Asia and Europe. So the CDC declared that doctors should immediately stop using the cefixime. "We feel we need to a take a critical step to preserve the last remaining drug we know is effective to treat gonorrhea," Bolan said. About 700,000 Americans get gonorrhea every year. If untreated, gonorrhea can cause serious complications, including infertility and life-threatening ectopic pregnancies. "I think it should be a real clarion call to every American that we've got a looming public health crisis on our hands and potentially hundreds of thousands of cases of untreatable gonorrhea in this country every year," said William Smith, who heads the National Coalition of STD Directors. Officials know adopting the new guidelines won't be easy. For one thing, ceftriaxone is an intra-muscular shot instead of a pill. And they want doctors to give it along with at least one other antibiotic and test patients to make sure they're cured. But they know that all this will help only for a while, and that they can't stop the clock from ticking on the one drug left. "We think it's only a matter of time based on the history of this organism until resistance does develop," Bolan said. So scientists are searching for new combinations of antibiotics that might work. And officials are pushing for new weapons that might stay one step ahead of gonorrhea and the growing list of antibiotic-resistant infections.